As the holidays approach, and the grocery store shelves fill up with fattening treats, many of us are faced with a self-control crisis between our desire to eat healthy, and our desire to eat decadently. 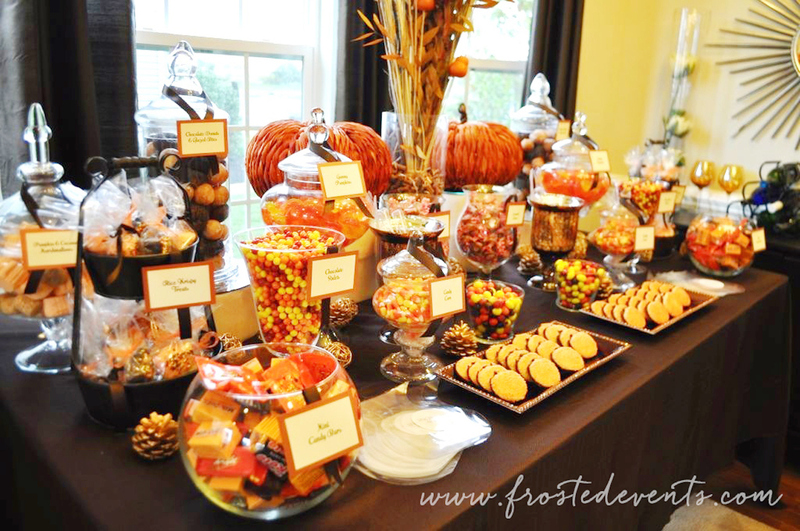 While indulging in some candy on Halloween isn’t going to be sending you into a downward spiral, a consistently unhealthy diet can lead to problems with weight and/or illness. Luckily, social psychologists have uncovered some strategies that can be used to help bolster your self-control, throughout the holiday season and into the happy new year. From now until New Year’s, we’ll be exploring ways in which social psychology findings can apply to real-life struggle city. So, if you want to avoid eating a veritable Reese’s Pumpkin patch this Hallows Eve, you may want to form some implementation intentions. If you are tempted to eat junk food, then you will come get some self-control tips from Social PsyQ instead! Stay tuned for more Psy Applied! Sheeran, P., Webb, T. L., & Gollwitzer, P. M. (2005). The interplay between goal intentions and implementation intentions. Personality & Social Psychology Bulletin, 31(1), 87-98. Oettingen, G., Hönig, G., & Gollwitzer, P. M. (2000). Effective self-regulation of goal attainment. International Journal of Educational Research, 33(7), 705-732. Faude-Koivisto, T. S., Wuerz, D., & Gollwitzer, P. M. (2009). Implementation intentions: The mental representations and cognitive procedures of if-then planning. Sheeran, P., & Orbell, S. (2000). Using implementation intentions to increase attendance for cervical cancer screening. Health Psychology, 19(3), 283. Sheeran, P., & Orbell, S. (1999). Implementation intentions and repeated behaviour: Augmenting the predictive validity of the theory of planned behaviour. European Journal of Social Psychology, 29(23), 349-369. Gollwitzer, P. M., Fujita, K., & Oettingen, G. (2004). Planning and the implementation of goals. Gollwitzer, P. M., & Schaal, B. (1998). Metacognition in action: The importance of implementation intentions. Personality and Social Psychology Review, 2(2), 124-136. Webb, T. L., & Sheeran, P. (2003). Can implementation intentions help to overcome ego-depletion?. Journal of Experimental Social Psychology, 39(3), 279-286. Gollwitzer, P. M., & Brandstätter, V. (1997). Implementation intentions and effective goal pursuit. Journal of Personality and Social Psychology, 73(1), 186. Self-Control and Eating: Which counts more, health or taste? Could the time it takes you to process taste- and health-related characteristics of food predict the final food decision you’ll make? A study recently published in the journal Psychological Science1 would suggest so. The study examined the hypothetical food decisions of 28 male and female undergraduates using a mouse tracking task, which captured both the time and trajectory of participants’ decisions. See image below of the task and sample trajectory results. Participants low in dietary self-control processed tastiness of a food significantly faster than healthiness of a food before making a final food decision. The researchers suggest that the earlier a factor like taste is processed while making a decision, the more heavily weighted that factor will be in someone’s final decision. Health-related attributes (e.g. calories), on the other hand, are delayed in the decision-making process and won’t be as strongly considered in the decision-making process. For example, someone low in dietary self-control who has a weak spot for gooey fudge brownies will immediately think about how delicious and sweet the brownies will be rather than their relative unhealthiness, and this deliciousness factor will be the strongest and loudest factor when that person decides whether to eat the brownies. Knowing this, no one is surprised when the brownies win the majority of the time. In contrast, participants high in self-control processed tastiness and healthiness at approximately the same time, making both attributes relatively balanced when making a food decision, which may explain why those high in dietary self-control are more often successful when trying to exert self-control in a food situation. Interventions that can increase speed with which health information is processed may improve dietary self-control. To read the original article, check out the citation below. Availability of unhealthy food: Unhealthy foods abound and are difficult to avoid. Those green beans just pale in comparison to the mashed potatoes. Intentions to compensate for the unhealthy eating in the near future: You make firm plans to exercise regularly for the next week and to limit your consumption of leftovers. Indulgence as an exception to the norm: Thanksgiving is just one day a year, after all. You never eat pumpkin pie or dessert, for that matter. And when was the last time you had your uncle’s stuffing? Feeling deserving of the unhealthy food: Related to all of the above and then some. You have been eating healthy foods consistently lately, and you just got a promotion at work. Plus, having to interact with some of your extended family makes you feel deserving of any prize. Curiosity-compelled indulgence: I don’t know exactly what this cookie is, but it looks and smells delicious. I have to try it! Irresistibility of the foods: Who can turn down sweet potato casserole? Everything smells fantastic! Honestly, indulging occasionally shouldn’t have to be guilt-inducing. Thanksgiving is a special occasion involving atypical foods and eating companions who may live far away. The act of eating is social and pleasurable and should be enjoyed. However, if you’re someone who finds that the holidays are a more permanent setback for your health goal, you are not doomed. Strategies exist for maintaining your health goals and still enjoying (yes!) your Thanksgiving meal. Check out this Slate article for some tips by Brian Wansink, an expert food researcher, on how to manage your eating. Did the researchers miss any justifications? 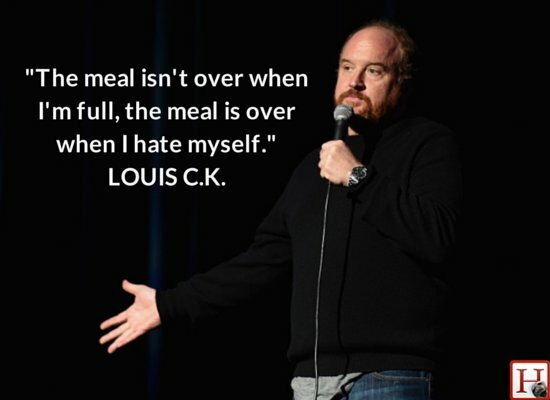 What have you noticed at previous Thanksgiving meals? 1 Taylor, Webb, & Sheeran. (2013). ‘I deserve a treat!’: Justifications for indulgence undermine the translation of intentions into action. British Journal of Social Psychology. 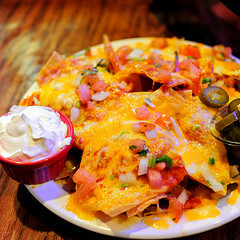 Have you ever picked up a chip from a plate of nachos only to find that it was stuck to several others, creating one large nacho mass of cheesy goodness? Or maybe it happened with cookies that had been baked together. Regardless of the specific food, how many times have you looked at that larger-than-intended portion in your hand and shrugged while thinking, it’s still just one nacho (or cookie or whatever). If so, you are not alone! People are constantly inundated with a multitude of stimuli from their environments, particularly when making decisions about eating. To simplify things a bit, people rely on heuristics (or mental shortcuts) to keep them from becoming overwhelmed by the number of decisions, such as how many cookies to eat, what type of cookies, when do I want them, and so on. The unit bias heuristic is the tendency to sense that a single entity is the appropriate amount of food to eat, regardless of how big that entity is (1). In other words, eating a cookie, no matter how big that cookie is, feels acceptable and not guilt-inducing to most people, despite the fact that the cookie size may actually be comparable to three cookies. Naturally, people vary in how frequently they rely on unit bias and also in the size of the typical unit used. For example, one large cookie or a full package of cookies can both be considered to be a single unit depending on the person or the circumstance. Unit bias doesn’t become particularly problematic to people’s health unless they are regularly consuming extra-large portions as one unit, such as a full bag of chips or an entire box of cereal. * In these cases, people may need external support, sometimes called segmentation cues (2), to provide indicators to stop eating. Segmentation cues are also often called “portion control.” For example, 100-calorie snack packs act as a cue to limit your intake of a particular food item. To learn more about unit bias and segmentation cues, check out the papers below, or email us at Socialpsyq@gmail.com. (1) Geier, A.B., Rozin, P., & Doros, G. (2006). Unit bias: A new heuristic that helps explain the effect of portion size on food intake. Psychological Science, 17, 521-525. * Of course, these portions don’t apply to everyone. If someone is a high performance athlete, for example, then their calorie intake will look very different from the average person.